UTRECHT, NL (JUNE 20, 2017) Not About Me announces the June 23rd release for the debut single, “Living Water”, written by William Wixley and co-produced with Chris den Dulk. The single has premiered at the Balinger Rock Festival in a joint performance with Draw the Parade (drawtheparade.com) on April 8th, 2017. William: "The collaboration with Draw the Parade and playing the song live really adding to the lively and fresh sound we captured in the studio." Listen to the song by clicking here. “Living Water” stirs up the hope we encounter as we respond in surrender to the Holy Spirit. It is a song about faith and the desire for God to move even more in our lives. We want to see mountains moved, and living water flowing in everything we do. Not About Me features music that is personal, and awakens life-changing encounters with Jesus. The songs are an honest expression that arise from the challenges and revelations William has encountered in the course of the past years. His music is uplifting, driven by upbeat rhythms and modern soundscapes. William Wixley is lead singer and song writer for Not About Me. William is known for writing the Zilveren Duif Award winning song, “Justice Song”, which was nominated as the “Best Song of the Year”. For over 15 years, William has led worship and sang at numerous Christian conferences and festivals, including the Hillsong Conference, Opwekking, and the 316 Festival. 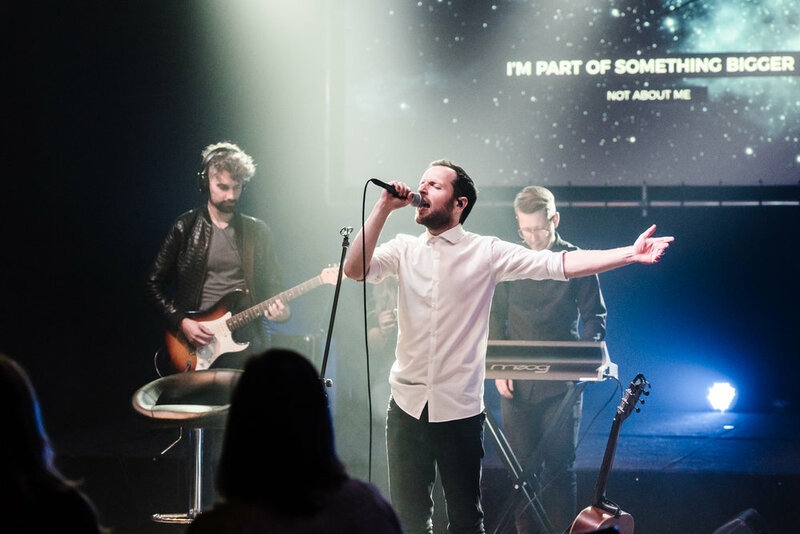 He led the BEAM Worship Band as the worship leader and the frontman for the EO Jongerendag from 2013 to 2016. He has shared the stage with artists such as Micheal W. Smith, Michael Tate (Newsboys), Martin Smith, and Kees Kraaijenoord. He has also recently announced to become the new lead singer for Draw the Parade, known for its upbeat, fresh festive sound.